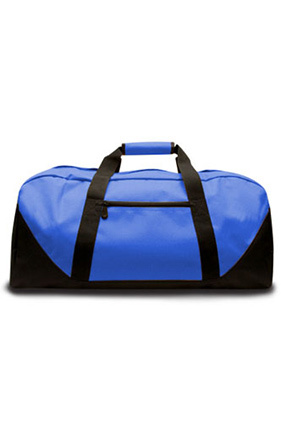 600 denier polyester medium duffle with contrasting black bottom. Black detachable and adjustable strap. Top and side grip handles. Front zipper pocket for quick and easy storage.